These 25 companies made Glassdoor's list of highest-paying companies for interns. Internships have long been thought of as an entrée into full-time jobs and resume boosters, but not big money makers. That's not the case for those lucky enough to land a gig at the paying companies for interns, according to a new report from Glassdoor, a jobs and career website. 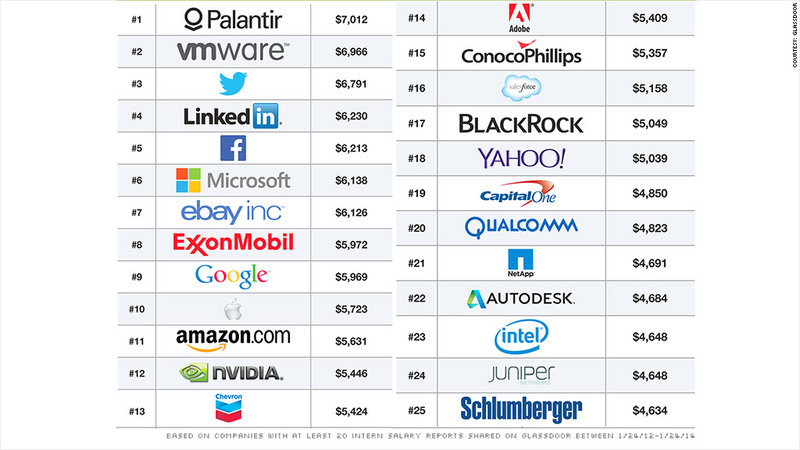 Leading Glassdoor's ranking of the 25 highest-paying internship programs for 2014 is Palantir, a computer software and services company that pays its interns $7,012 per month. That means that interns could wind up making up to $84,000 annually. VMWare (VMW), which provides cloud and virtualization software and services, comes in close second with $6,966 a month, and Twitter (TWTR) ranked third, with a $6,791 monthly salary. Technology companies dominated the list, with LinkedIn (LNKD), Facebook (FB), Microsoft (MSFT), eBay (EBAY), Google (GOOG), Apple (AAPL), Amazon (AMZN), Yahoo (YHOO) and Intel (INTC) all paying more than $4,000 per month. Several energy companies, including Chevron (CVX) and Exxon Mobil (XOM), also made the cut. According to Glassdoor spokesman Scott Dobroski, interns at these top companies are making even more this year than they have in the past. Pay has increased between 2% to 5% year-over-year for the majority of companies on the list, he said. The reason? To win the war on talent. "The fight for the best and brightest young minds is fierce," he said "If these great minds go somewhere else, that's going to hurt them, so they're willing to pay top dollar." The climbing intern pay comes in the midst of a broader debate over unpaid internships. Hundreds of interns have filed lawsuits or raised complaints over working long hours for free. Some have won cases or settlements against Fox Searchlight Pictures and Charlie Rose. Interns at Elite Model Management, Hearst Magazine, Condé Nast, Atlantic Records, Gawker and Warner Music Group have filed similar suits. 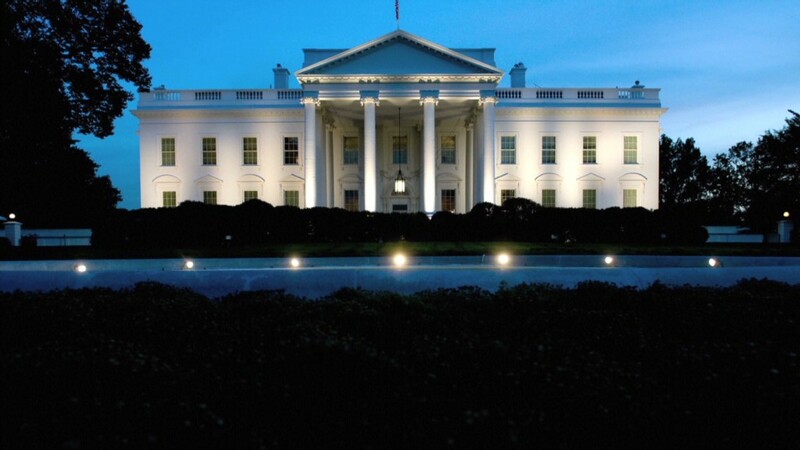 Even the White House came under fire for not paying its interns. The Fair Pay Campaign, a grassroots lobby, has been calling on President Obama to pay his interns in order to set an example for other government agencies and private employers. Mikey Franklin, the leader of Fair Pay's charge, said Glassdoor's list shows that people are talking about the need to pay interns in a way they haven't before. "These tech companies know that in order to attract talent, they need to pay better, and other companies should follow suit," he said.